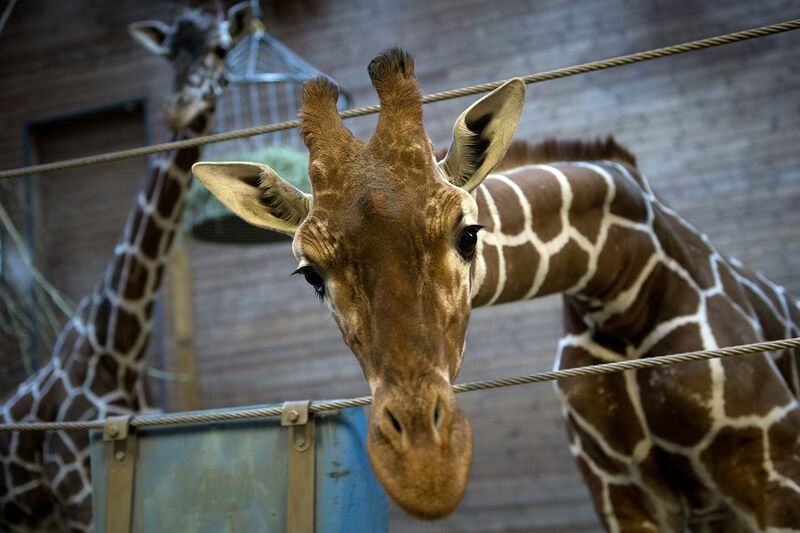 This entry was posted in animal rights and tagged animal rights, animals, Blackfish, Copenhagen Zoo, giraffes, Marius, zoos. Bookmark the permalink. psychopaths should not be allowed near animals.some children will have nightmares & others will learn to murder. Interesting take. Yes, I sure am concerned that those children are now traumatized after witnessing that event. How could they not be? The zookeeper and staff should all be brought to justice, never mind their plea that they didn’t know etc etc, none of that usual excuses. I wish we lived in a world where such a thing would happen. Thanks for reading. Hopefully we can work to make it so. No mere accident children were present. It was orchestrated. They know that most children will call to question their own intuition in favor of what authority dictates. It is a system, their system, which feeds off itself. With schemes so encompassing, convoluted, and bewitching that most under its spell—and most are under its spell—never break from it, having no idea they are controlled by it; e.g. citing reasons of science and research, and believing it!—what nonsense. But then, I’m just an aging conspiracy theorist so pay no mind. Thank you Michael for your excellent article, and thank you for being among the Knowing. I hope you’re wrong about the extent of this, but perhaps I’m naive. It was so horrifyingly, ridiculously savage that perhaps that is an explanation we have to consider. Thanks, Peter. Thank you for speaking out about this, and about zoos in general. You said what I was feeling but hadn’t been able to put into words. Thank you very much. I take that as very high praise. Thanks for reading. why goverment dont close the zoo…. beings are made by god to move around on this planet earth free. I agree, James. Thanks for reading. I think that it shouldn’t be legal to have a zoo. Having a zoo just to pleasure and entertain humans are so fundamentaly wrong. Thank you for sharing this sad buth very true story. Thank you :). I agree–zoos should be shut down. And I say thank you for your attitude and your voice. It’s sad that we need to witness a horrible story like that for people to realise that zoos are really concentration camps. People seem to really trust zoos and their ‘conservation’ propaganda – definitely something to do with their appeal to ‘science’ and ‘education’. Zoos will say whatever they need to, to justify their exploitation of animals. If the people operating zoos really cared about animals there would be no zoos. All true, what you say. I was not aware of these gene pool killings before Marius though, so that was eye-opening for me. I watched the video, it is sad (though it looks like it was cut to a piece of music, which I think has been lifted out). He was so beautiful. I’m sorry, but if you look at it from the perspective of the animals no zoos are ‘good.’ All animals in zoos come from relatives who were captured-kidnapped–in the wild, all are forced to live out their lives in much tinier and controlled worlds than they would ever live in in the wild. They don’t have anything like ‘normal’ lives. As far as the killing for the gene pool, it happens all the time. In fact, six lions were killed–including four lion cubs–the same day as Marius in the Longleat Safari Park in England: http://www.care2.com/causes/why-did-a-british-safari-park-quietly-kill-2-lions-and-4-cubs.html. Hi there! I heard this on the news too. I was a bit amazed that first they would do it, second that they would make it public as in having cameras and second that they would invite children to see the slaughter. I´ve only been once to a zoo and that was a school trip, I can understand if they capture endangered species to keep them from zooming out of the planet completely but the bears, crocodiles, all those others….never saw the point. I see though that is for public entertainment mostly not for the animals. So that´s my take on it, and also thanks for passing by my crazy un paid blog. Sorry for the delay response, had a little bump on the road. It was good reading that post, hope I feel a little better and keep reading more. michael: i had the same initial reaction to this story, had to read and see it a couple of times before i realized it was true. it was hard for me to fathom and wrap my head around and there was no way it could be real in my mind. then i found out it was very real. it made me so sad, and i could not understand any of the reasoning (or lack thereof), of any of it. why not find a way to reintroduce it back into the wild where it is meant to grow up or as a compromise, give it to another zoo or animal sanctuary somewhere? i cannot even imagine the baby giraffe’s death or the horror of the children that witnessed all of this ‘in the name of science.’ it is awful that the person running the zoo adheres to the philosophy he does, and awful that this goes on. very, very sad. Yes, I agree. But I think ultimately most zoos are aligned with this guy’s philosophy–they just keep it secret. The bizarre choice to display the cruelty and the lack of sense openly in my opinion casts a light on how bad zoos really are–all of them. What this case illustrates is they have no defense for their cruel treatment of animals–‘scientific’ or otherwise. That’s pretty awful. I can’t imagine doing this in front of kids. That sounds like absolutely horrible judgment to let kids see such a thing. I actually had a good experience seeing what it was like to be a dossent at a zoo, and I would have become one if I’d lived closer by. We got to see the animals behind the scenes. And we saw this wild jungle like environment, which the public sees, but at night, the animals have to spend the night in cages. They are all corralled back through tunnels, so people can keep an eye on their health and give them the care they might need. This experience actually made me feel closer to the animals and I had a good feeling about it. Being in the same room as an elephant while the dossent was cleaning him was really nice. Although i don’t honestly know anything more, since that was just 1 day, and it made me feel like the people really cared about the animals. I really hope that was true, and not just my imagination. Thanks for reading and the comment. I am sure there are individual workers who really love the animals and try to do the best they can to take care of them. I think you have to pull back and look at the big picture here though, with the humans AND the animals. The superiors to the ones cleaning the cages and feeding the animals, etc. are doing this to make money, so they are going to make decisions that affect the bottom line, not the animal’s welfare. Which is why Marius was killed–and that elephant that you speak of would be no exception if it came to that–if they wanted to make room for a cuter baby elephant for example, they would kill that elephant you speak of. And of course for the animals, they are living regimented, caged lives very different from what they would choose to live in the wild. Their life spans are shorter, their emotional and physical healths are worse–and the whole things begins with an animal kidnapped in the wild. This is how ALL zoos operate, so the conclusion that you must reach is they do NOT really care about the animals; the animals are the products they exploit to make money. Michael, I agree. Whenever something is for profit there is always abuse. Decisions are made based on profit instead of human beings or animals rights being considered. Our health care system is a good example! Hospitals are for profit and they make awful decisions for people’s lives. I watched my Dad die in one. I hate them. You bring up a good point. Instead of having the animals in cages, I would love to see them in their natural environment, at least try to simulate that as much as possible. I would hope that someday animal rights activitists would start something like an enclosed safari, instead of a zoo. A place where people could still see animals, but have them more free. And not make them go to Africa! or the circus to see an elephant. I can’t afford a trip to Africa! But my consciousness was changed due to this experience with the elephant. He changed me for the better and others too, I’m sure. And many children that have an opportunity to see animals without having to travel too far, might become future environmentalists and animals rights activists. The world needs that right now! We all need our consciousness raised to a higher level. What is needed is for no animals to be made to do anything they do not want to do at all. Each individual animal is a sentient being that wants to be left alone in their natural habitat. It’s not our right to move them from those habitats, force them to breed, exploit them for our own ends and ultimately kill them. The same goes for chickens, cows, pigs, and all other animals on the planet. We have no right to force breed them and exploit them for food, clothing, research or entertainment. We have no need of those things. Judging by the way people have reacted to this killing, it’s obvious that they care about animals. However, most people ignore the fact that they sit down to a plate with the flesh and secretions of animals on it every day, usually more than once a day. Every one of those animals had an interest in it’s own survival and freedoms, just like Marius. Every one of them felt pain, pleasure, fear, happiness, and other emotions, just like Marius. And every one of them was treated much more horribly than Marius was and was killed in just as brutal a fashion, if not more brutal. We have no need for animal substances, either in our diet, or in our clothing, nor any other products. There are many ways to see animals without going to zoos, circuses or marine parks, which are all horrible places from the perspective of the animals. Not only is there no necessity for animal substances in our diet, but the human consumption of flesh, dairy and eggs is the main cause of chronic disease in developed countries. The domestication of animals has been linked to all the worst infectious disease as well, and we’re creating many new and horrible infectious diseases in factory farms right now. The production of animal substances for human consumption is also the cause of the majority of environmental destruction caused by humans as well. The exploitation of nonhuman animals is also the direct or indirect cause of all the human rights problems we face. For anyone reading this, if you care about animals at all, even a little, please consider my words carefully. Morally speaking, all animals, no matter what species they are of, deserve to not be intentionally exploited and harmed by humans. If it was wrong for a giraffe, then it’s wrong for a cow, a chicken, a pig, a fish, an insect, or any animal. If we believe that this is the case, it means that we have a moral responsibility to animals to stop exploiting them. This is what it means to go Vegan. I’m glad. I don’t remember seeing you say it on the blog, but are you Vegan? (I noticed you said you don’t eat animals per se, but not animal secretions explicitly). Learned some details I didn’t know about Marius, thanks for the information, albeit, tragic and sickening! What I do know is that zoos are not good for animals and children. The adults who build these prison camps haven’t got a heart. Sadly, that means a myriad of people on this beautiful planet.